Woman using a gift card to pay. Picture: iStock. A GIFT card is the halfway point between buying someone an actual present and just chucking a $20 note in a card. It allows the buyer to show that they care enough to choose a store that they think the recipient will like, without having to go through the hassle of finding an actual gift. The only problem is you usually forget you even have these gift cards until you're cleaning out your room 12 months later and find they have all expired. Research from finder.com.au found that Australians wasted $148 million by not redeeming gift cards last year. In 2017 one in seven gift cards purchased in Australia went unused, which is an estimated 1.9 million people either being too lazy to use the card, losing it or forgetting that they have it. Over $148 million was wasted last year by not redeeming gift cards. Picture: iStock. 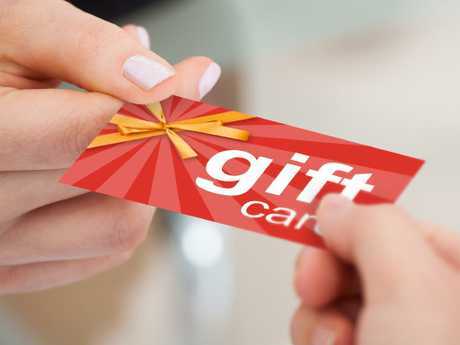 Money Expert at finder.com.au, Bessie Hassan, said around 13.5 million Australians are given gift cards each year. "Hundreds of millions of dollars are thrown away because cards are left languishing in a drawer somewhere," she said. "Many people are losing out because the gift cards get lost, forgotten or have some unused value left on them." A staggering $77.70 was the average left on each gift card last year, with the younger generation being the most wasteful by racking up an average of $105.80 in unused credit. Queensland was the most forgetful state, letting $50.3 million in funds go to waste, while Western Australia was the most diligent in using the cards with just $4.4 million being unclaimed. 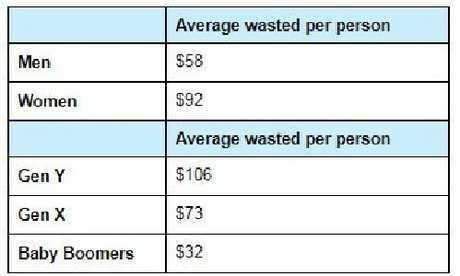 The average gift card recipient in New South Wales will leave $61.70 of unused money on gift cards, Victorians waste around $74.80 and people from South Australia leave $58.10 behind. Women were the worst offenders, wasting an average of $92 by leaving credit on the cards, while men wasted around $58. There has been a recent push to extend the expiry period of gift cards in order to combat this wastage. 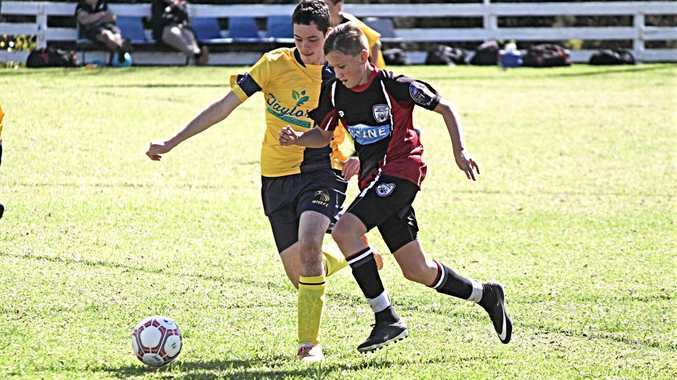 As of March this year, gift vouchers bought in NSW must have a minimum expiry period of three years and all post-purchase administration fees are banned. Gift cards and vouchers purchased before 31 March 2018 will have the same expiry date and other terms and conditions that applied at the time of purchase. Stores can be fined up to $5000 for violating this rule. 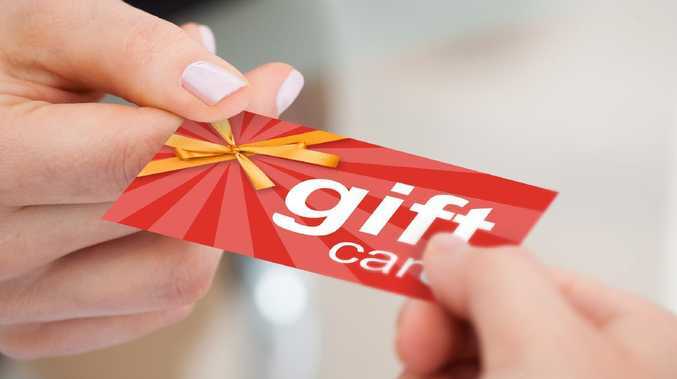 A similar bill has also been introduced in South Australia that would increase the time people have to use gift cards and make the terms and conditions more flexible. "We've also seen Woolworths, JB Hi-Fi and The Good Guys completely remove expiry dates, which is a huge win for consumers," Ms Hassan said. "It's encouraging to see some national retailers increase the limit to three years, but the bar has truly been set with unlimited expiry." She also urged gift card holders to spend, sell or donate them before they expire. "Many consumers would have received a gift card as a Christmas present last year, and if they have a 12 month expiry, now is the time to use them before the funds go to waste" Ms Hassan said.